Bayerische Motoren Werke AG, or more common BMW started its motorcycle career in 1923 by producing its first motorcycle – R32. These were BMW's pioneer steps into the world of motorcycle industry and the innovation they deployed was something BMW is practicing ever since. R32 was, and still is, powered by 486 cc engine that produced 8.5 HP, and it was able tu push old R32 to speeds over 60 mph. Their first innovation was oil system that recirculates oil rather than losing it. Supercharged R32 with 500cc motor set the world speed record at almost 174 mph which remain untouched for the next 14 years. The next big success in motorcycle career BMW had when delivered their R75 to the German army. It outperformed all other motorcycles during African campaign. R75's flat boxter motor was more resistant to african heat, and shaft drive was not affected by harsh conditions of desert taht was killing belt and chain driven motors. Another success came when BMW was introduced to America. In 1959 R69 managed to come from NY to LA in a little more than 53 hours which is more than a day shorter than a previous record set by a Harley-Davidson. In 1970 BMW introduced electrical starting system on all members of /5 series, but kick starter was not discontinued for another 4 years. 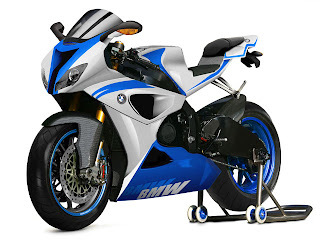 As we come closer to the modern days the story of BMW motorcycles becomes more familiar, and it covers upgrades like ABS for motorcycles, double disc front brakes, new four cylinder engines and a lot more. In 1994 F650 and later F800 series were chain or belt driven motorcycles. 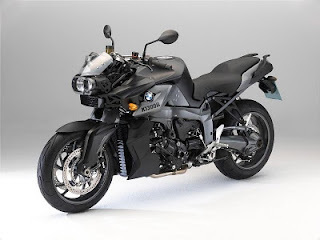 Only shortly after WWII BMW motorcycle production experienced its dark ages, and since this period come to an end BMW is improving, making their motorcycles more agile, more powerful and more elegant with every new generation. Masterpieces are not created overnight. It took Michelangelo four years to paint the Sistine Chapel and 19 years for researchers to develop the Polio vaccine. A quarter of a century after they started the project, Microsoft is still tweaking Windows. 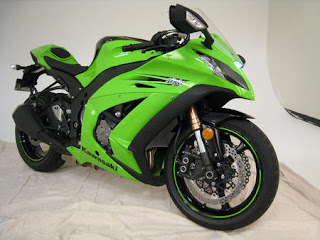 Perfection takes time, so Kawasaki can be forgiven for introducing the latest ZX-10R Ninja a year later than expected. The 2011 ZX-10R is Kawasaki's magnum opus, the culmination of 50 years of bike-building and four years of dedicated effort. As with remodeling a house, sometimes it's better to knock the thing down and start from scratch. That's exactly what Kawasaki did. This isn't a mild redesign for the sake of marketing; this Ninja is all-new, from the wheels to the windscreen. 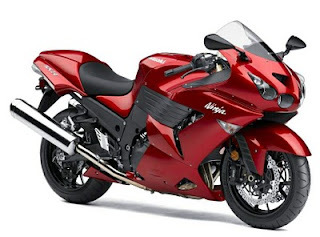 Aside from turn signals that hung like tumors from the mirror stalks, the 2008-'10 ZX-10R was one sharp-looking machine. But compared to the 2011 model, it already looks dated. The new bike appears lower, leaner and overall more focused, like a big cat waiting to pounce. The fuel tank isn't as flared, but the bike's excellent rider interface is maintained and even enhanced by the increased downward angle of the clip-ons. The green-and-black paint scheme will look familiar to race fans, as it's based on the World Superbike race team livery. The Ninja's debut found us not at some far-flung foreign racetrack, but at Road Atlanta in Georgia. This undulating, blistering-fast 2.5-mile road course is challenging both physically and mentally, yet the ZX-10R proved less demanding to ride than expected. 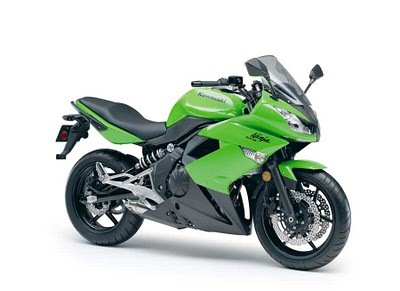 Through the miracle of mass centralization, Kawasaki's engineers are closing the handling gap between 600s and 1000s. The brains at Team Green redesigned and repositioned numerous components and cut a claimed 22 lbs. Considering how deftly the Ninja snaked through Road Atlanta's downhill esses, you'd expect it to twitch and shake in the faster sections, but the bike remained stable everywhere, even when bombing through the back kink at over 180 mph. The 2011 engine has been completely re-engineered to improve midrange power and tractability, and there's a much broader spread of thrust. Aside from some stiffness in the gearbox, the engine is a gem. Peak output is stated as 188 horsepower at 12,500 rpm and 82.6 lb.-ft. of torque at 11,000 rpm. That's an increase of nearly 10 bhp and a serious shift in the power peaks: down 500 rpm for horsepower and up over 2000 rpm for torque. Power is delivered in a smoother, more linear fashion, which explains why this bike doesn't feel as fierce as its predecessor with its abrupt top-end rush. The new LED tachometer is easy to see but hard to read. Turning down the brightness helped keep the lights from blending together, but the previous analog display was better. Power levels off beyond 12,500 rpm, so you hear the limiter at 13,500 rpm more than you feel it. Bigger throttle bodies, better ports, revised valve timing and a new exhaust result in more airflow through the engine, which produces more power and less engine braking when the throttle is closed. The free-spinning character of the engine, a new Showa Big Piston Fork and slick slipper clutch make the big Ninja nearly as easy to throw into a corner as its 600cc brethren. The exhaust note coming from the shorter muffler is deceptively muted, even at 10,000 rpm. Taller gearing and linear power delivery make the Ninja misleading at speed. The Tokico calipers are plenty strong and the BPF resists bottoming and remains compliant, even at the entrance to Turn 10A where you have to shed four gears and 120 mph in just 600 feet. That exercise never fails to widen your eyes! 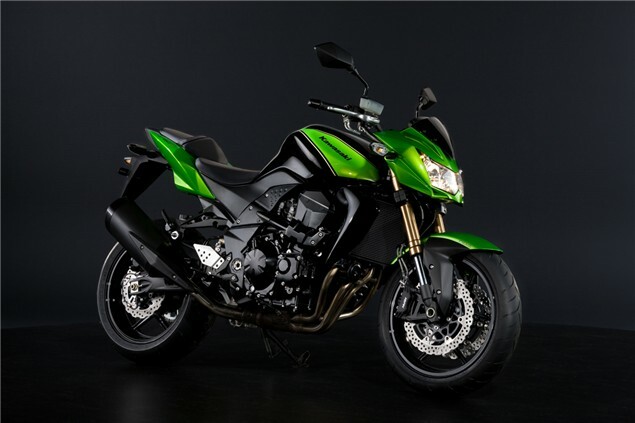 The big news with the 2011 bike is S-KTRC (Sport-Kawasaki Traction Control). At an unfamiliar and dauntingly challenging track like the one we'd just been let loose on, S-KTRC's greatest gift is that it frees up attention to focus on other important matters--such as which way the track goes over that next hill. Take the time to look down at the seven-bar TC indicator and you'll see it flashing wildly if you're using Level 3, intervening on occasion in Level 2 and hardly ever in Level 1. After spending time in each mode I settled on Level 2, as it allowed a subtle yet satisfying amount of rear-tire smear at corner exits. Level 1 was too apathetic, permitting so much tire spin that I found myself instinctively modulating the throttle rather than trusting the electronics. When the system is working, there's no popping or sputtering from the exhaust. In fact, the only ways you know it's in effect are by looking down at the gauge (not the best thing to do with your knee on the ground!) or because the slide is kept in check despite your right wrist calling for more power. S-KTRC polls sensors 200 times per second, which means it responds to adverse inputs in 0.005 of a second--about 40 times faster than the most adroit rider on his best day. Unless you hit oil or do something really stupid, the system is essentially crash-proof--and more so if you've dropped an additional $1000 on Kawasaki's race-spec anti-lock brake system. At the press launch time only non-ABS bikes were available, but if S-KTRC is any indication, KIBS (Kawasaki Intelligent anti-lock Brake System) should be fantastic. S-KTRC incorporates wheelie-control of sorts, but its response proved unpredictable; sometimes it worked to maintain a steady power lift while other times it made the front end yo-yo like a fledgling stunter. The only way to disable the function is to turn TC off, which meant depending on my own acuity to keep from sampling the red Georgia clay. But even with S-KTRC immobilized, the Ninja is surprisingly manageable and communicative. After a dozen laps with the electronics switched off, it was clear that the bike's excellent behavior is intrinsic to the engine and chassis design, and not strictly due to the electronics. This Ninja was bred for the racetrack, but Kawasaki knows it will spend most of its time on the street. The new bike's seat is both lower and softer and the rearsets are adjustable. A new balance shaft successfully quells engine vibrations, and those drooping mirrors actually work, showing more than your elbows. The fully adjustable suspension and electronics system all work to let the rider tune the bike to his taste. 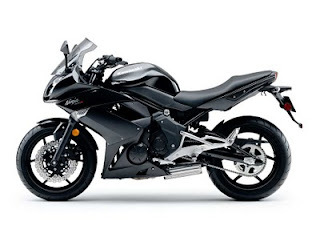 As Kawasaki's tech guru Ron Taylor said, the Ninja is "a full-blown track bike that can be easily toned down to suit the rider's comfort level or the requirements of conditions." 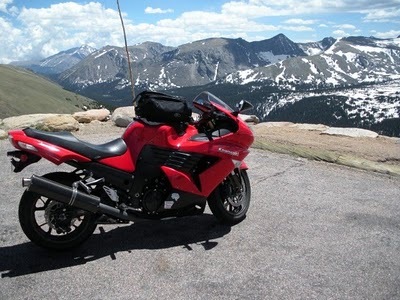 After a full day aboard the 2011 ZX-10R, there's no denying it's a huge improvement, literally better in all respects. Except price: The base model will sell for $13,799 (up $2300 from last year), and if you want ABS, add another $1000. 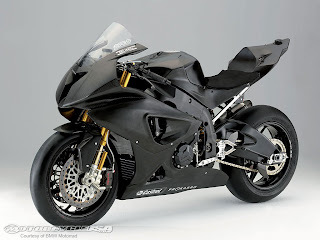 Then again, this bike needs nothing to rip up any racetrack on the planet and is ready to take on the BMW S1000RR with money left over for a stack of tires. 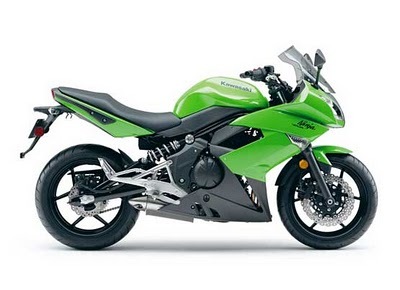 You can't rush greatness, and we're glad Kawasaki took the time to get the new Ninja right. Good things, as the saying goes, come to those who wait. Rolling up the San Diego Freeway on cast wheels and street tires with delusions of off-road grandeur, we'll steer clear of the rocky single-track and aim for a rough little rollercoaster of pavement draped across those mountains up ahead, just south of the Tehachapi Pass. 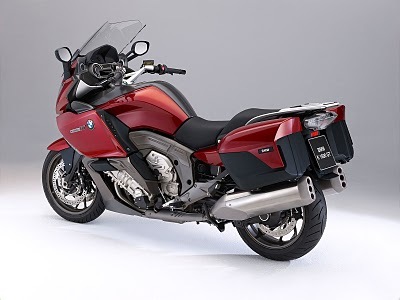 Thanks to the miracle of modern fuel injection and electronically adjustable suspension, either bike will put 180-200 relatively humane freeway miles in the rear-view between fuel stops, but the BMW feels more comfortable doing it. That goes double for anybody taller than 5-foot-8. Roomier in every dimension, including the pocket of acceptably calm air in its cockpit, the Beemer trundles along between 70 and 80 mph with just a whiff of vibration from the engine room. The mirrors provide relatively clear images of looming cement trucks and CHP cruisers, unlike the Multistrada's frustratingly undecipherable blurs. The Ducati's seat is comfortable enough to keep most riders happy for 2 or 3 hours, but there's considerably less fore/aft fidgeting room. That slim adjustable windscreen allows more turbulence into the cockpit than we'd like, but the airflow evens out a bit beyond 75 mph. It's enough to get by until you save enough lunch money for the larger one in the accessory catalog. 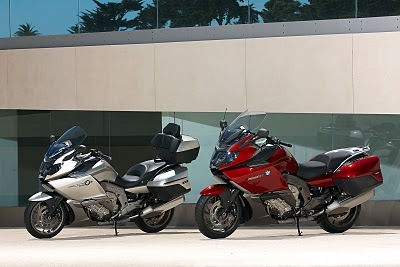 d make most street riders wet themselves, BMW's GS is the original choice for going just about anywhere two wheels can take you. Undeniably huge, inimitably German and currently defined by a stronger twin-cam version of the 1170cc Boxer-twin, the R1200GS looks like an adventure sitting still. Just add 21 contiguous vacation days, a clean American Express card and shake vigorously. Aside from being manifestly smaller, lighter, faster and explicitly Italian, Ducati's new Multistrada 1200S leaves more than a little room for interpretation. Especially when there's a new GS parked next to it. Are these bikes really different means to the same sort of all-encompassing ends? Or just different? After gnawing on that one for all of 5 minutes, we figured the answer was beyond the fluorescent-lit, climate-controlled splendor of Motorcyclist's El Segundo headquarters. How about Randsburg (population 85 or so, depending on who you ask), a.k.a. our favorite desiccated Mojave Desert gold-mining town, sitting near the coccyx of California's Sierra Nevada range? That's 150 miles north and east of the MC M.C. as the Gold Wing flies, or 293 for those of us who really do have all day to get there and a couple of motorcycles to wring out. Either way, you end up in a dusty little chunk of 1896, surviving on a powerful combination of self-sufficiency, sheer meanness and savvy tourists rolling up from greater Los Angeles (population 17.8 million if you're still counting) looking for an antidote for urban pre-ignition. Though it's too hot in the summer for all but sun-struck desert rats and the occasional tortoise, mile after mile of legal off-highway vehicle trails make Randsburg a Mecca for Southern California's off-road cognoscenti during the winter. Brace yourself for a crush of happy, dusty people on dirtbikes if you head up on Thanksgiving weekend, but we probably won't push the census needle past 87 on this exceptionally unexceptional Friday afternoon. The debut of the entry-level 125 Duke marks an entire new R&D strategy based on adapting KTM's competition-derived technology to the street, with the aim of attracting new converts to the cult of motorcycling. 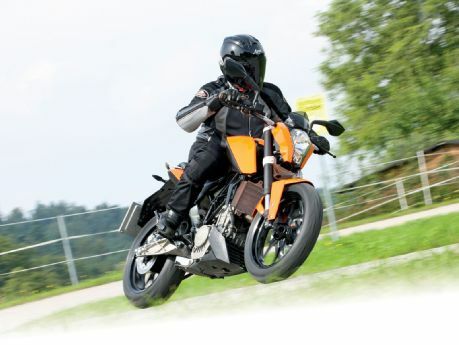 Engineered in Mattighofen, Austria, and built in Pune, India, the downsized Duke also stands as the first collaboration between KTM and its majority shareholder, Bajaj. The first thing you notice about the Duke is the familial resemblance with its big, bad 690cc and 990cc siblings. You can't get this kind of cool with any other entry-level machine. As its succession of motocross and enduro championships underlines, KTM knows a thing or two about developing single-cylinder motors, and the engineers applied that experience to the Duke's 124.7cc engine. It's liquid-cooled, with a SOHC four-valve head that's almost identical to that of the shrieking DOHC 250 SX-F. The Duke's engine whirrs to life with a touch of the starter, and settles into a slightly high idle with a muffled-but-distinct thumping from the under-engine exhaust. By entry-level standards, this thing sounds like a racebike! It lives up to that impression on the go. You don't need to rev out the motor in every gear to get a sense of speed. 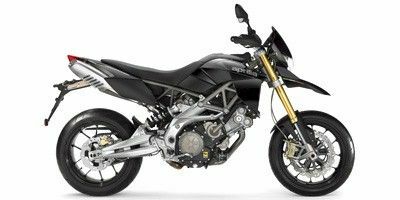 The engine is pretty torquey for a "little 'un," so you have the choice of surfing the torque curve and short-shifting or riding it at the 11,000-rpm limiter like the Red Bull Rookies do on their KTM 125cc Grand Prix two-strokes. Riding the Duke in the hills and valleys around KTM's headquarters showed that the 125 will be king of the road in the entry-level class. 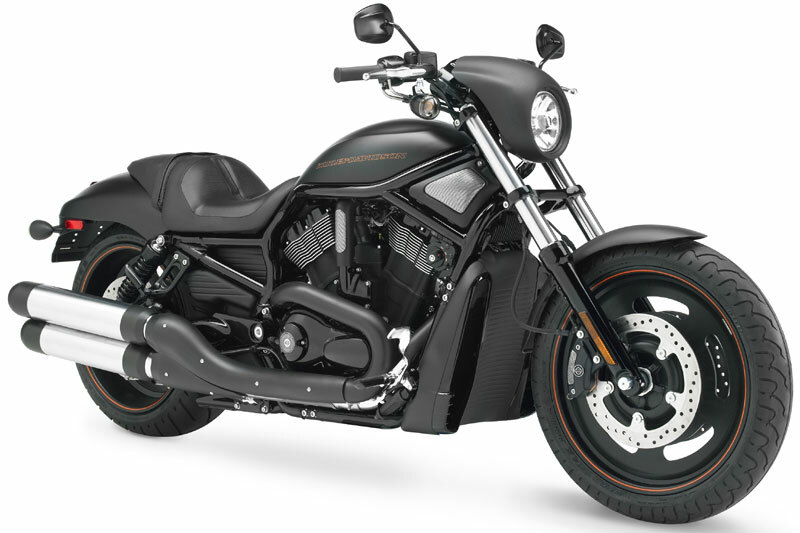 For a start, it's a full-sized motorcycle that delivers a comfortable and relatively upright riding stance. Handling is worthy of the Duke name, and Bajaj deserves credit for helping KTM source Indian suppliers able to produce parts to European standards. The frame is a steel-trellis assemblage in typical KTM fashion, and the suspension is made by Endurance, the Indian affiliate of WP. The black-painted wheels carry braking components from Bybre-again, the Indian arm of a well-known European company, Brembo. The radial-mount single front disc brake works surprisingly well, quickly hauling down my 180 pounds of non-target-customer weight from the Duke's top speed of 75 mph. Engine braking is quite good, too, presumably thanks to the 12.6:1 compression ratio. Aside from style, which the Duke has in spades, its most important asset is its ease of use. The transmission is flawless in operation, with a progressive-action clutch that feeds out controllably. 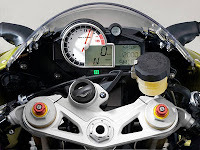 The dashboard is likewise communicative and easy to decipher, and features a gear indicator-an important riding aid for beginners and something every manufacturer ought to offer on all streetbikes, irregardless of intended use. 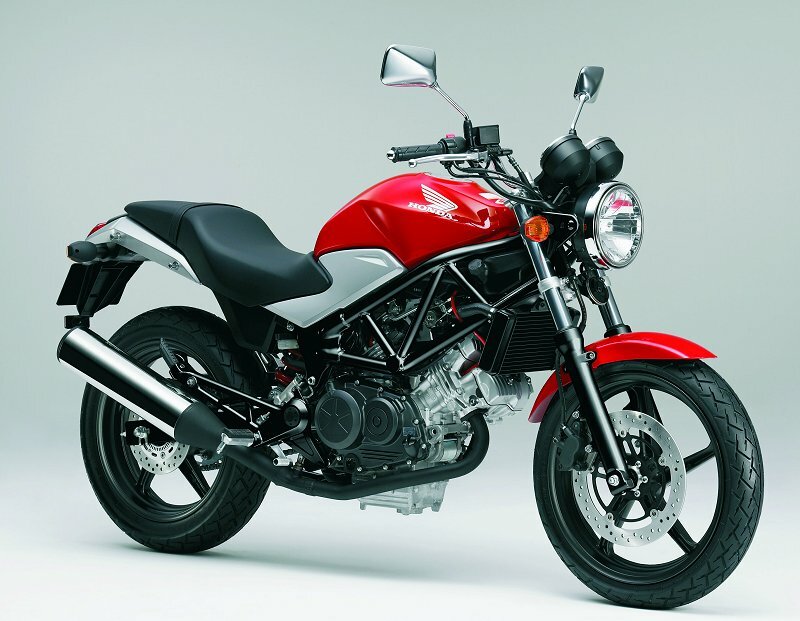 With so much going for the diminutive Duke, it's a shame it isn't slated for sale in the USA. But the 125's chassis was built with bigger motors in mind, and slipping the rest of the 250 SX-F's engine in under that four-valve head would certainly make it more appealing to American newbs. Will it come Stateside in quarter-liter format? We can only hope. It gave me pause when I glanced down before my first track session and noted the odometer displaying exactly 666 miles. With black-on-black graphics and a snarling V-twin exhaust note that sounds like something piped straight from the depths of hell, Ducati's 848 EVO could have been designed by Beelzebub himself. Cracking the throttle only sealed my deal with the devil, as the front wheel mimicked the rapidly rising tach needle. "Forgive me, safety marshals, for I have sinned ... before even exiting pit lane!" It's hard to ignore the little demon that appears on your shoulder when riding the EVO, a potent update to Ducati's venerable middleweight Superbike. The 848 has found fame this year in fiercely competitive AMA Daytona Sportbike competition, with Steve Rapp earning multiple podiums and Bobby Fong one-upping him with a win at Virginia International Raceway. Ducati has been paying attention to the results, and the company says feedback from these AMA racing efforts directly influenced this latest evolution of the platform. The majority of changes are found inside the Testastretta Evoluzione engine, specifically at the top end. Alterations include freer-flowing cylinder heads and new pistons with a revised crown shape to increase compression from 12.0 to 13.2:1. Enlarged, 60mm elliptical throttle bodies replace last year's 56mm units, delivering the air/fuel mixture to revised combustion chambers via higher-lift, longer-duration cams that actuate the same desmodromic valve train. 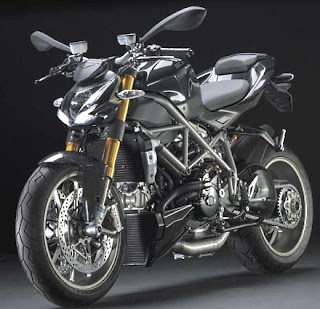 Peak output is now 140 horsepower and 72.3 lb.-ft. of torque (an increase of 6 bhp and 2 lb.-ft.), and the new, rev-happy engine character makes this Ducati's liveliest twin yet. Modest chassis improvements complete this evolutionary update. Front brakes are upgraded from two-pad Brembo calipers to the stronger, four-pad Monoblocs from the 1198. A non-adjustable steering damper is now bolted across the upper triple clamp, enhancing stability. Lastly, the tire spec switches from Pirelli's Supercorsa Pro to the line-leading Diablo Supercorsa SP, which offers a steeper profile for quicker turn-in and a larger contact patch at lean to deliver track-ready grip and feedback. Ergonomically, the EVO is identical to the old 848. The riding position is best described as purposeful, defined by a tall, firm saddle, high, rearset footpegs and low, wide bars. The squat upper fairing requires a tight tuck before relinquishing any meaningful wind protection. Thankfully, the flat, wide tank is easy to wrap around, and deep knee cutouts make it easy to lock your legs in place when the going gets good. The faster you go, the better this riding position feels. Likewise, the chassis responds favorably as velocity increases. With a rangy front-center distance, a stiff, high-riding Showa fork and 36mm-offset triple clamps, the 848 resists turning unless there's a reasonable load on the front end. 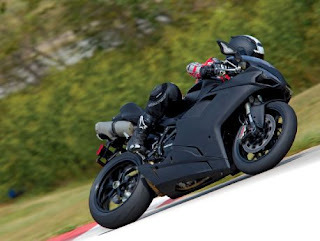 Keeping your body weight forward, however, and taking advantage of those beefy brakes and sticky tires to run hard into corners reveals what might be the most stable, predictable and communicative front end on any production streetbike. The EVO positively railed the downhill Dead Bear carousel at Putnam Park, where we sampled the bike during a Ducati track day following the Indianapolis MotoGP. Like any twin, it's easy to get lazy and let that low-end torque lug you around. 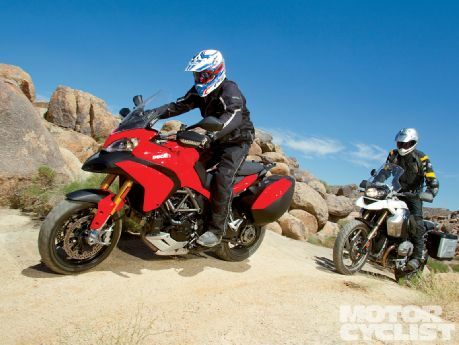 Short shifting, however, masks the bike's greatest attribute: its willingness to rev. The freer-breathing top end makes the EVO absolutely come alive at 8500 rpm, and it screams across the top of the tach with an appetite for revs that no big twin can match. The 848 engine is more accessible at the same time. The 1198's output is so overwhelming that it's difficult to find an opportunity-or the real estate-to hold the throttle wide-open and relish the twin's unique top-end rush. The 848 EVO encourages this behavior, reminding us how satisfying a middleweight V-twin can be. We've often argued that Ducati's 848 Superbike is the better choice for many street and track-day riders, delivering the same world championship-caliber performance as the 1198 in a lighter, more manageable package. Now with more power and an even livelier engine character, the 848 EVO only makes that argument stronger. 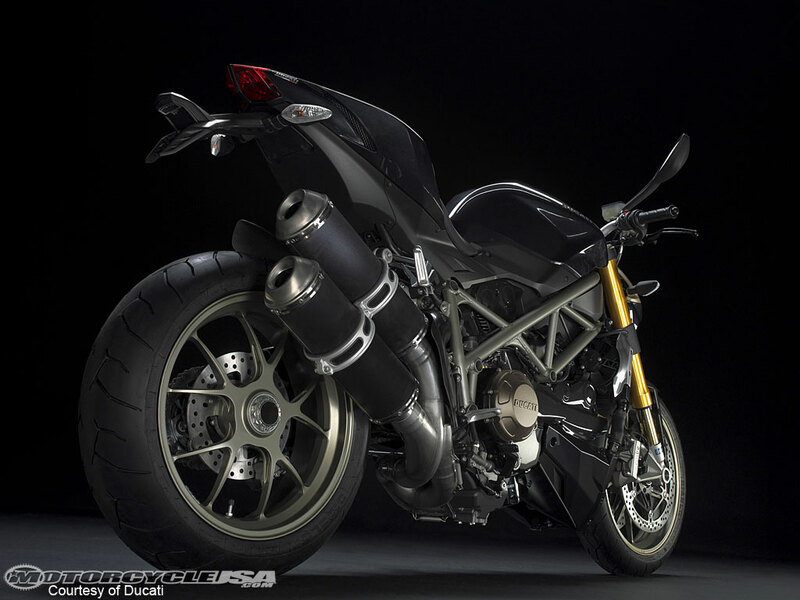 And there's no denying the value it represents: Even after the engine and chassis upgrades, MSRP remains unchanged at $12,995 for the Dark Stealth edition or $13,995 in traditional Ducati red. Take that to mean you won't have to sell your soul to the devil to afford one. Ducati's familiar 848 Superbike gets a new top end for more high-rpm power, along with stronger brakes and a steering damper. 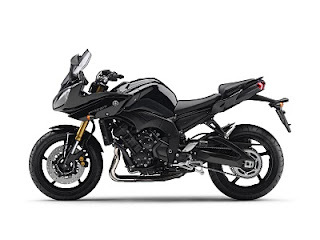 Bajaj Pulsar DTSi has a throttle-actuated ignition control system that works together with a chip-controlled digital capacitor discharge ignition system and this gives accurate ignition time under any condition that in turn optimizes the load-bearing capacity of the engine. The dual-spark design accelerates and evens out flame propagation resulting in more efficient combustion and thereby resulting in a greater performance. 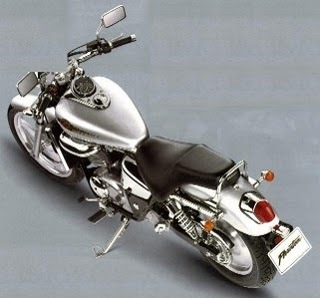 The newly designed exhaust complies with the EURO 2005 norms. The 180cc engine of Pulsar delivers maximum power of 16.5bhp @ 8000 rpm and a torque of 15.22Nm @6000 rpm. ExhausTEC technology improves torque of the engine. The engine is powered to carry higher loads. yamaha scorpio r6 design is made more pointed and made fashionable the scope of water like a jet plane, the part is designed to further emphasize the characters that have this bike as a pilot, "added Topo.To assist the fierce impression on the display. 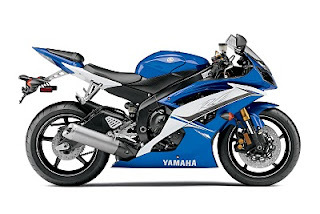 Just for one day (motorcycle-usa.com) model(s) was covered in: 2006 yamaha yzf-r6 the desert around the losail motogp racetrack in qatar is flat and featureless, and by 10 a m covered with. 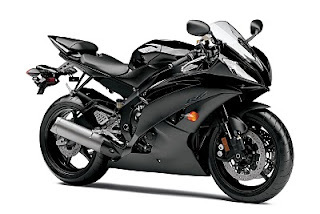 Yamaha 2007 yzf-r6 sport motorcycle - yamaha 2007 yzf-r6 sport good quality yamaha 2007 yzf-r6 sport motorcycle products from yamaha 2007 yzf-r6 sport motorcycle motogp-style 52 5-percent front-wheel weight bias helps produce razor-sharp. My motorcycle gallery: 2009 yamaha yzr-m1 motogp pictures in the motogp title-winning yzr-m1 light, powerful, and bristling with championship-winning development, the yzf-r6 is the most advanced production 600cc motorcycle yamaha--or. Road test: 2006 yamaha yzf-r6: techno six road test: 2006 yamaha yzf-r6: techno six very fast first look: yamaha yzf-r6 euro 2008 (2007-09-10) yamaha yzf r1 2007 fiat motogp whether i have ever ridden a motorcycle. Laguna seca motogp yamaha poster : yamaha r6 : r6 forum motorcycle parts > asian > body & frame > handle bars, levers, mirrors 1999-2005 r6 and 2006-2007 r6s yamaha yzf-r6 moto gp style slip on new brand from yamaha. 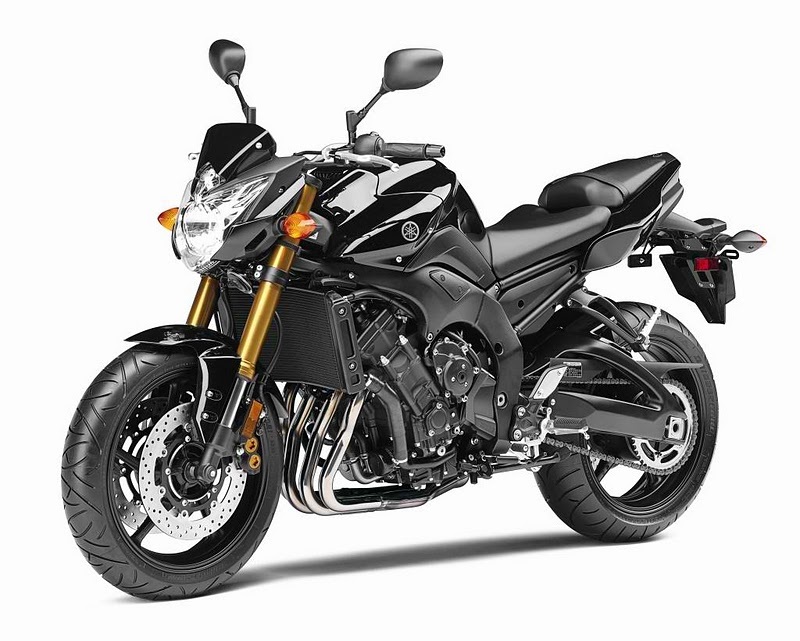 The New Motor Honda CB1000R added grabs assimilation of every beholder with the credible metal as beef to add to its accessory and its unstoppable power-packed accomplishment can woo bike enthusiasts. The rear bank rises and the rear tyre is huge with bank saddle pitting a little. These looks of the bike are added added with abridge and abridge addendum cowl and a forward-tilted armament tank. The bunched bikini cowl of the Honda CB1000R makes it accessory afire with its abutting to triangle-shaped multi-reflector headlight (I never had so abounding applause for the wolf-eyed headlight, but this one hit me with a monster accomplished like looks) and appropriate LED position lamp. Yamaha was testing it a month ago, and now Yamaha comes with new 150cc bike, Fazer. 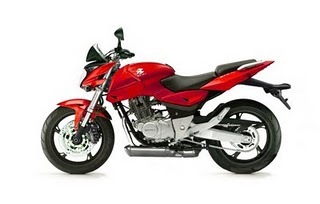 There were so many rumors on the launch of Yamaha Fazer 150. The fazer is priced at 72,000 Delhi ex-showroom price. 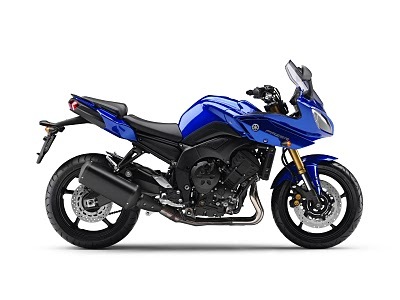 With new Fazer, Yamaha has now 4 bikes in 150cc segment namely FZ-s, FZ-16 and YZF R15. 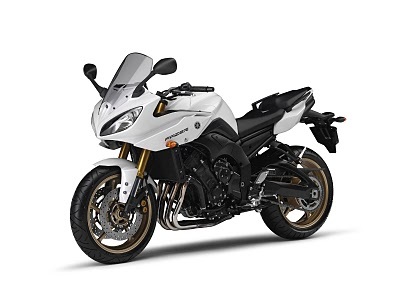 Yamaha fazer comes with another options for those who don’t like naked look of FZ16 or FZ-S. It comes with a cool fender in front side. Fazer is priced at Rs 72,000 Delhi ex-showroom price. The North American division of Yamaha recently announced it has introduced the 2011 model FZ8 naked sportbike to the product line-up. 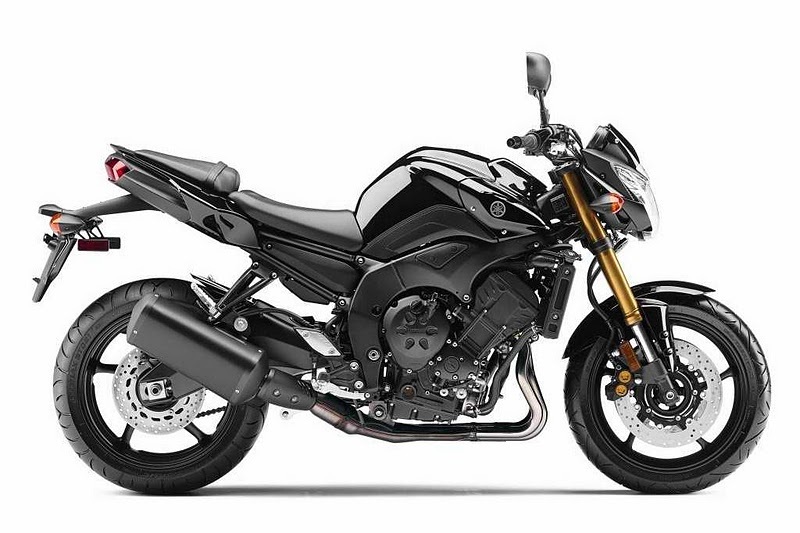 Originally developed for the European market, the FZ8 comes to fill in the gap between the FZ1 and FZ6R, at a MSRP of $8490. The machine comes with a fuel-injected, liquid-cooled 779cc Inline Four engine that is based somewhat on the previous generation (non-crossplane-crankshaft) YZF-R1 motor. The engine, which is tuned for low-to-midrange performance, is coupled with a wide-ratio six-speed transmission with chain final drive. The mission of Kawasaki's flagship Ninja® ZXTM-14 is not unlike that of an exotic supercar - to project the awesome power and technology of its parent company in rapid fashion, every time the throttle is twisted. It may not cost a million dollars or have a V-12 engine, but the ZX-14's 1352cc fuel-injected inline-four is the closest thing on two wheels. Its monocoque chassis and wind-tunnel developed body represent the cutting edge of sportbike design. 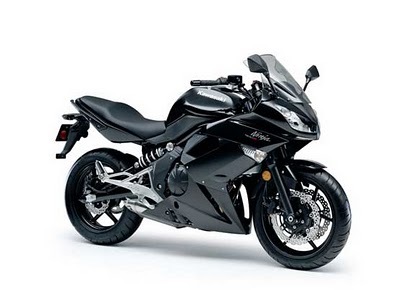 The ZX-14's systems are designed to allow riders to exploit the full potential of man and machine, while effortlessly dispatching all challengers. Despite ever-tightening noise and emissions regulations; the ZX-14 has continued to set the pace of sportbike excellence ever since its domineering debut. Intake and exhaust systems permit it to comply with strict emissions and noise regulations, even as its massive low-end torque, mid-range thrust and legendary Ninja peak power place it at the top of the sportbike food chain. Secondary air ports in the cylinder head and its cover flow clean air into the exhaust system and boost the efficiency of the three honeycomb catalyzers employed in the exhaust system. These devices, combined with a wide dispersal of atomized fuel from the fine-atomizing fuel injectors and optimized flow characteristics through the intakes, allow the ZX-14's 1352cc engine to offer strong performance, yet still meet the toughest motorcycle emissions regulations. 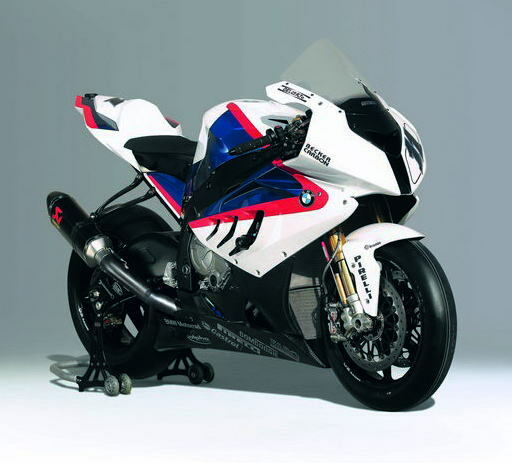 BMW 1000cc S1000RR is the most powerful production bike in the market and show off in new york motorcycle show. More importantly, with a weight of 183kg and 204kg dry fully fueled, also has a ratio of power-to-weight best. 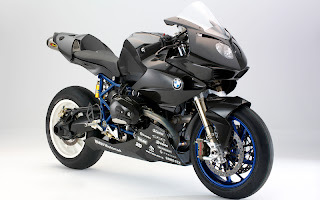 New York Motorcycle ShowTroy Corser took the wraps off the production only S1000RR BMW at Monza, the bike will be sold on the market majority, including the United States, in January. * The Manufacturer's Suggested Retail Amount does not accommodate freight, pre-delivery analysis or applicative taxes. The final amount is at the acumen of the dealer. Prices and Blueprint are accountable to change after above-mentioned notice. First unveiled at the 2009 EICMA show in Milan, the new 899 Cafe Racer from Benelli is now making its debut on the British market. The new 899cc model has cafe racer looks and an in-line three-cylinder motor, just like its bigger sibling, the TnT 1130 Cafe Racer. The 899 engine has a power output of 120bhp, a new cylinderhead, pistons, cams and new ignition mapping for smoother power delivery and better low speed throttle control. Other components include gold Marzocchi front forks, 320mm Brembo front brake discs. Since the 899 Cafe is a carbon-copy of the 1130 Cafe Racer’s look, the 899 CR will share another trait with its 1130cc counter-part: you’ll either love the design or hate it. We happen to prefer the standard lines of the TnT, but still think the Cafe Racer series brings a variation to the Benelli form that will appeal to riders looking to stand out from their Ducati riding friends. Pricing has yet to be determined, but expect something north of $13,000. When designing the 899 Cafe Racer, Benelli thought of reducing the amount of components and costs. 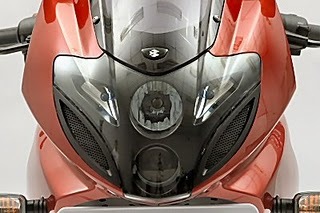 The design of the windshield is simple, as is the instrument panel which is housed in a cheaper plastic panel. It is mounted on a steel subframe instead of one made of aluminum. The handlebars on the 899 are also made of steel rather than aluminum. 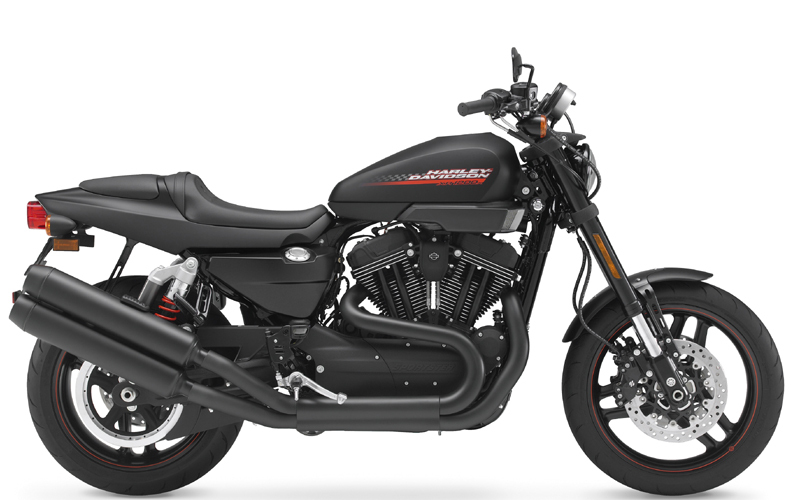 Harley-Davidson present new 2010 model motorcycle named Harley-Davidson 48 (HD-48). 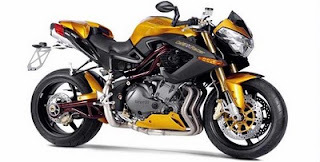 It has an Evolution 1200ss like engine, such as V-Twin, a completely new front suspension, wide and fat front tire, littered with rear suspension. Also, the bike boasts a low single seat, mirrors, mounted under the steering handles, and a very unusual tailpipes. The bike can be considered as unique, not like any other vehicle sold in the market. It has seat height 660mm, wheelbase 1519mm, clearance of 99mm, fuel tank capacity – 8 liters, and dry Weight – 247 lbs. It also completed with air-cooled engines. The motorcycle will be offered in three color options – Vivid Black, Brilliant Silver and Mirage Orange Pearl. The British assay of BMW Motorrad arise today its 2011 range, which comes with adapted editions, new bloom schemes and annex options available. aggregation arise to adapted archetype motorcycles, namely the F 800 ST Touring and K 1300 R Dynamic. 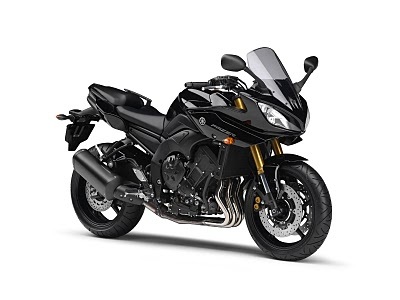 The F 800 ST Touring is brash to achieve long-distance algid akin easier with a abuttals of options and accessories (such as ABS, Key-matched, abounding Activity Panniers, on-board computer, acerbic grips, basic centre stand) annual GBP1,658. OTR bulk is GBP8,510 - a extenuative of GBP458 over the accustomed model. 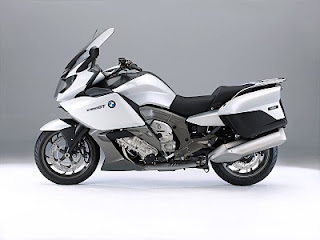 READ MORE - BMW R 1200 spesification. American Suzuki surprised the industry last year by deciding not to import 2010 streetbikes while it tried to clear inventory in a depressed market. 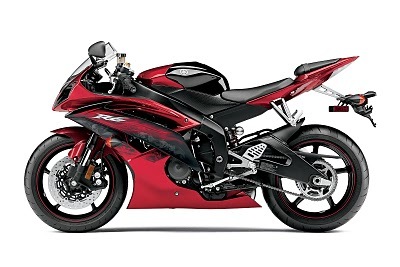 But for 2011, it's rebounding in a big way with the introduction of a comprehensively reworked GSX-R600 and its identical-twin brother, the GSX-R750. "We built our brand from the GSX-Rs," said Steve Bartolamedi, American Suzuki's senior communications manager. More than 300,000 Gixxers have been sold over the years, and the GSX-R600 has long been America’s best-selling sportbike. We've seen it, sat on it, and heard it run! 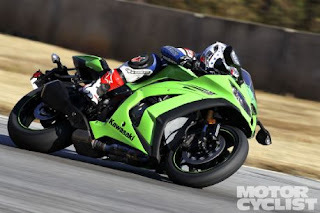 Kawasaki has unleashed a potent new literbike weapon in the form of the 2011 ZX-10R. This is not a warmed-over version of the existing 10R – it's a ground-up redesign with virtually zero carry-over parts. More power and less weight (22 lbs is the target) are naturally part of the package, but less expected is a new traction-control system that is claimed to be the most sophisticated on the market and comes as standard equipment. The result is a bike said to be a huge 2 seconds quicker around Autopolis than the 2010 edition in back-to-back testing on identical tires on the same day. This indicates it has the potential to turn better lap times than its literbike competitors. The term high tech has never had a more suitable subject to describe outside of NASA than the Aprilia RSV4 Factory APRC SE. Traction control, launch control, wheelie control, triple ride-by-wire riding modes, quick shifter, and its even got blinkers incorporated into its mirrors! The RSV4 Factory APRC is what legends are made of. Aprilia, by offering the APRC technology to a mainstream audience, has the recipe to shatter everything that stands in its way in 2011. 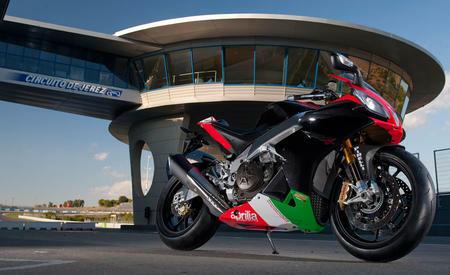 You've got to love Aprilia's attitude of daring to fail to succeed. It takes guts to bring along a bike such as the RS3 Cube MotoGP bike using ride-by-wire as the first manufacturer to do so in MotoGP. It failed; Aprilia packed up its GP ambitions, rebooted its computers and came back stronger than ever in World Superbike with the RSV4 Factory and Max Biaggi. Here are the list of Harley Davidson 2010 in Indonesia that have been prepared by PT Mabua Harley-Davidson. The price range of the HD is between 197-615 million rupiah. 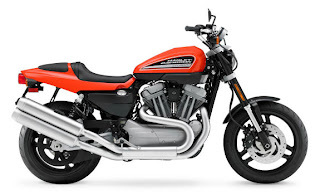 Harley-Davidson reported to launch XR1200X Sportster in 2011 in US. The H-D XR1200R also would fitted with the front fork and rear homemade Showa sokbreker amd front brake power. Electronic sequential port fuel injection (ESPFI), high performance camshafts, large capacity oil cooling, and oil-cooled precision cylinder head would also be packed inside the motorcycle. Honda Unicorn India To Be Mega Pro Facelift in Indonesia ? 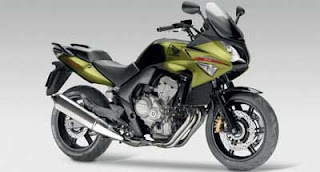 Honda Unicorn India has been mentioned by circulating rumors to come in Indonesia. 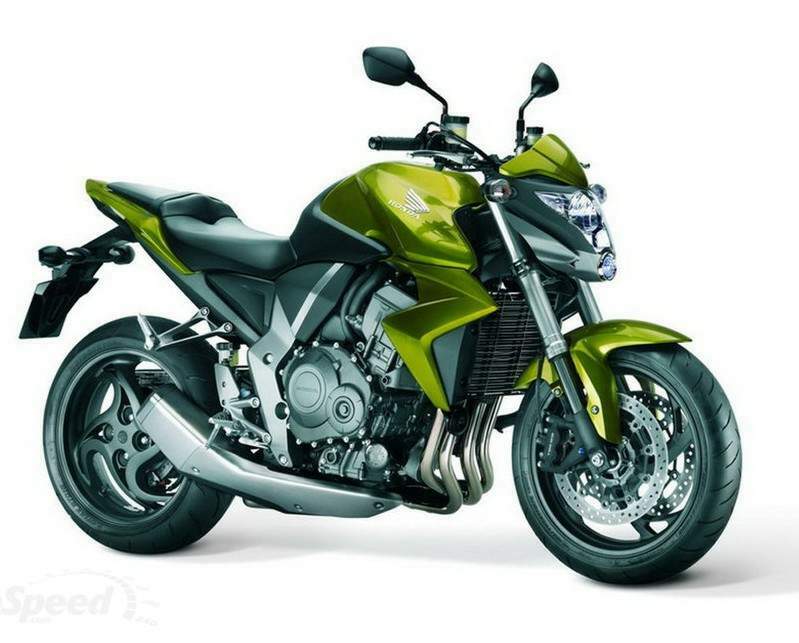 The Unicorn predicted to become Honda Mega Pro Facelift. Why the rumors go to Honda Mega Pro ? Due to Mega Pro is the one and only of PT Astra Honda Motor (AHM) that is not face lifted. However, AHM admitted that there is unclear whether to bring Unicorn or not because the new product usually in talk at the end of year. 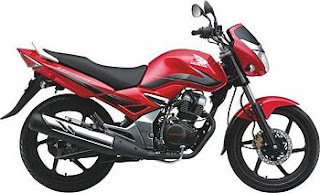 READ MORE - Honda Unicorn India To Be Mega Pro Facelift in Indonesia ? The new Honda CBF1000 has been radically changed incluiding improving the engine capacity ratio from 11.0:1 to 11.2:1 and result power 107 hp at 9.000 rpm with max torque 96 Nm at 6.500 rpm. Honda CBF1000 available in four colors choice which are Black Pearl Nighstar, Quasar Silver Metallic, Cool Pearl White, and Pearl Amber Yellow.